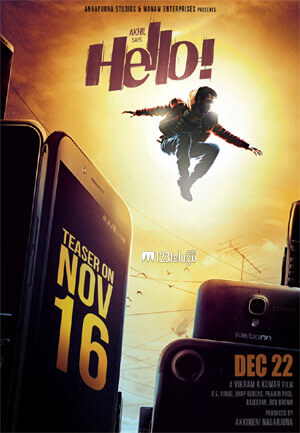 Now that the Akkineni family is done with all the wedding activities of Naga Chaitanya’s wedding, they are now concentrating on Akhil’s new film Hello. A new poster was out today and it reveals that the teaser of the film will be out on the 16th of this month. Vikram Kumar directs this film which is a complete action love story. There is a tremendous buzz that has been created for the film and the makers are leaving no stone unturned for the promotions of the film. Director Priyadarshan’s daughter, Kalyani Priyadarshan is making her debut as an actress in this film.